One of our favorite treatments at Dermatology & Laser of Del Mar is the Fraxel Re:Pair for laser skin resurfacing. Fraxel Re:Pair not only corrects many cosmetic issues people seek treatment for, it is also FDA approved to treat pre-skin cancers and superficial skin cancers. Fraxel Re:Pair has shown amazing results in patients with major sun damage, skin pigmentation, wrinkles and over all rough actinic (pre-cancerous) skin texture. Patients are thrilled with the almost immediate smoothness and brightening of their skin (after the initial healing period) as well as increased firmness and softening of lines and wrinkles. 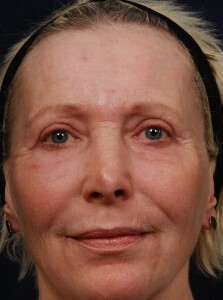 At Dermatology & Laser of Del Mar, Dr. Deborah Atkin performs each Fraxel Re:Pair treatments. She personally assesses each patient and plans each treatment to individualize it for each patient and their particular skin condition. 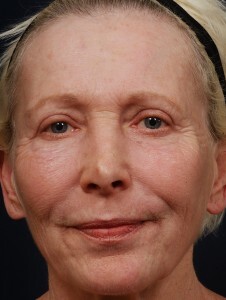 With Fraxel Re:Pair, Dr. Atkin is able to vary the laser settings and hand-piece to deliver a treatment that is aggressive, yet lower downtime than traditional C02 lasers. It is a ‘one time’ treatment, but many of our patients return every 2-3 years for maintenance. The downtime for this laser tends to be about 5 days, however, each persons healing response is different and you may recover quicker or not as swiftly. After the procedure, you will have some swelling and redness. Two to three days post procedure you will experience flaking and/or peeling. The severity of this will depend on the aggressiveness of the treatment delivered and your level of skin damage. By day 5 there may still be minor post laser “pinkness”, but nothing that can’t covered up with tinted sunscreen or makeup. Post care is a breeze! Our staff will review your instructions before, during and after your procedure. We will also send you home with written instructions and a “care package” of topicals and oral medications to make your recovery quick and comfortable. After treatment, and the initial healing period, patients are encouraged to start an anti-aging skin care regimen. At this time the top damaged layer of skin has been lasered away, along with pre-cancerous changes and the skin will be repairing itself from the inside out, with new collagen being produced daily. At this point quality skin care is essential for optimizing and maintaining a great result. 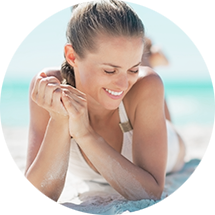 While there are many terrific product lines on the market, Dr. Atkin feels the science behind SkinMedica makes it a superior choice for your skin. Our knowledgeable staff has received extensive training in the science of skin care and can help you formulate your perfect routine. It is never too late to begin taking care of your skin, let Fraxel Re:Pair be the jumpstart you’ve been looking for!